Today marks the beginning of Year Two in Destiny, and with it comes the long awaited 2.0 patch. There are a ton of individual changes that are in this patch – it’s a huge 17 Gigs on current-gen consoles after all. Instead of going through each and every point, I want to talk today just about the changes to the social zones – the Tower and the Reef. We’ll start at the Reef, because there really aren’t any major changes here to worry about. Petra Venj lost her bounties, so her reputation is pretty set for now. I expect next Tuesday with The Taken King launch that there will be a new way to level that up though. One other thing to note, if you dismantle your Vestian Dynasty sidearm, she wasn’t selling one anymore for me. Variks the Loyal’s inventory hadn’t changed, and Prison of Elders is still a viable activity to play. So the Reef in general really didn’t change a ton with this update, which makes sense when we look at the Tower. When you first arrive at the tower, I recommend first heading over to the Speaker’s area. This is where you’ll find two of the new Kiosks – Shaders and Emblems. Any emblem or shader that you’ve found in the past, you can pick right back up here. There’s no glimmer cost for them either, at least not for the emblems. It also shows all of those kind of items in the game – whether or not you’ve found them. The ones you haven’t it will tell you how to obtain. For example, the Crota’s End emblem is only found from beating the raid Crota’s End – and it tells you exactly that. The Glowhoo shader is only found from beating Crota’s End on heroic difficulty – again, it tells you that, including the difficulty modifier. For a collector like myself, this was one of the parts to 2.0 that I was most interested in. It’s a great way to see some of the cool things you might have missed in the past. The Speaker himself has a totally new inventory. Gone are his class items (which now have a defense stat) and instead he sells some of the new Ghost Shells. Currently he only sells Rare quality ones, but that could change next week. The Ghost Shells also have a defense rating, along with a set of perks – I grabbed one that alerts me to the presence of nearby Relic Iron. Moving back to the center section of the Tower, we have a few points of interest. The vault space upgrade took effect today, so weapon and armor both can hold up to 72 items, while the general section remains the same. 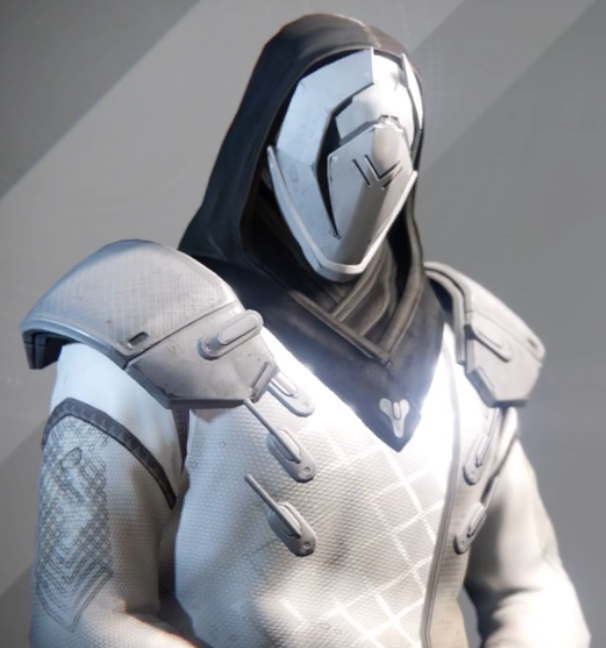 General can easily be cleared though by deleting shaders, emblems, ships and sparrows. You’ll also notice that Eris Morn isn’t in her usual spot. Instead you’ll find her at the bottom of the stairs headed towards the Vanguard, our next stop. Eris currently doesn’t have bounties – but her reputation will be earned again starting next week. In the actual Hall of Guardians, you’ll find two more Collection Kiosks. One features Exotic Armor, the other, Exotic Weapons. Any Exotic that you have earned is right there, available to you. 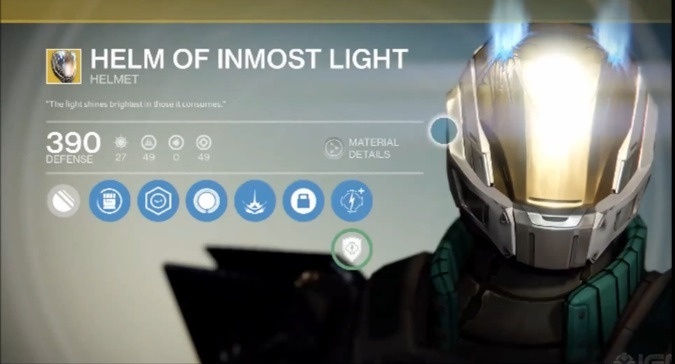 These do have a cost though – Exotic Shards, plus Glimmer. It’s another good way to clear some inventory space out with those items you never use. You’ll also find a Kiosk that will let you replay abandoned quests again, letting you do the story again this week. Your respective Vanguard rep also has a much more involved role now – you’ll have one subclass specific quest in your inventory upon loading today that has you going through them. I assume this will increase moving forward through Year Two. Finally, you’ve got the hangar area. The only real new additions here are the three new Kiosks. One is for your jumpship, one is for your Sparrow and one is for the new Emotes that were added in. The Emote one is the only tricky one to find – it’s down below the Future War Cult rep, in the bar area. Overall, I’m really excited with the new changes. The Tower is a place now that makes a lot more sense, both lore-wise and gameplay-wise. I really am excited to see how it looks when the actual Taken King systems switch on next week. E3 is only a couple weeks away, and we’re already seeing a few glimpses of the games we might be seeing this year. I expect Evolve to have a really great showing – they’ve been playable at a few conventions already this year, using the feedback to keep tweaking the game, which is a really good sign. Destiny will have a playable booth at E3, I’ve already talked about how excited I am for that game, so I’m really looking forward to hearing how people react to it. Arkham Knight got a new gameplay trailer last week, I wouldn’t be surprised to see that have a real big showcase booth this year. Of course, Call of Duty: Advanced Warfare will be there, and it wouldn’t surprise me to see the last Ghosts DLC news announced there either. I would also expect this year’s Halo game to be officially announced and trailered, now that Halo 5: Guardians has been confirmed for next year. No surprises there. I think we will also see some new Titanfall news, perhaps the next DLC announced. Battlefield–wise it gets a little interesting. Just today they announced Battlefield: Hardline, which looks to be cops V. robbers, and is developed by Visceral Studios, the developers of Dead Space. All the info so far points to a fall release – the choice of developer has me intrigued, Visceral is better known for single player games, so this could be a Battlefield game more in the vein of Bad Company. We’ll know more I’m sure as E3 hits. 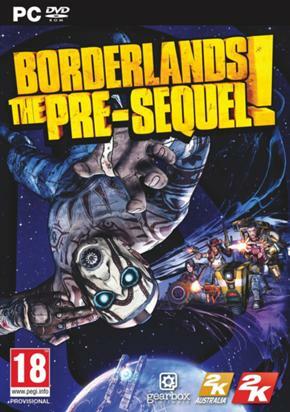 Also today a 15 minute clip of Borderlands: The Pre-Sequel footage hit, which I also see having a big showing this year. In terms of “surprises” at this year’s show, I think they’re all fairly predictable. They have said that Star Wars: Battlefront 3 is in development, I fully expect a big trailer and maybe even a playable build, along with the Visceral developed single player Star Wars game. Don’t be surprised to see Mass Effect show up this year, although whether or not it’s called Mass Effect 4 remains to be seen. I also expect to see Fallout 4 finally get confirmed and trailered, along with the next Mortal Kombat, and hopefully Dishonored gets a sequel too. All in all, I have a hunch that this year’s E3 is going to be a crazy show. Last year was the year of the console announcements, this year, we get a ton of killer games to check out and start prepping for. I could see a few games slated for 2015 making early appearances too, a la Final Fantasy XV or Kingdom Hearts 3. We just have a couple more weeks to wait – then it becomes a longer waiting game as we wait for the release dates.